As a nutritionist and a mum, I understand that it can be difficult to get the family eating healthy meals regularly, especially when you’re on a budget. Healthy meals don’t need to be complicate and they certainly don’t need to cost you any more. In fact, regularly switching unhealthy meals and takeaways with these winning dishes will save you money. With a few basic skills and a pantry stocked with the basics, you’ll be well on your way to saving money and enjoying tasty nutritious meals more often! Check out my 5 favourite family dinners – which all cost $10 (or less) to feed a family of four. Don’t forget to follow me on facebook and instagram too so you can tag me in your creations and journey to eating well for less. This curry is packed flavour, even if you need to leave out the chilli flakes for the kids. You won’t need to buy packet sauces any more once you’ve tried this one! Check out the recipe here. 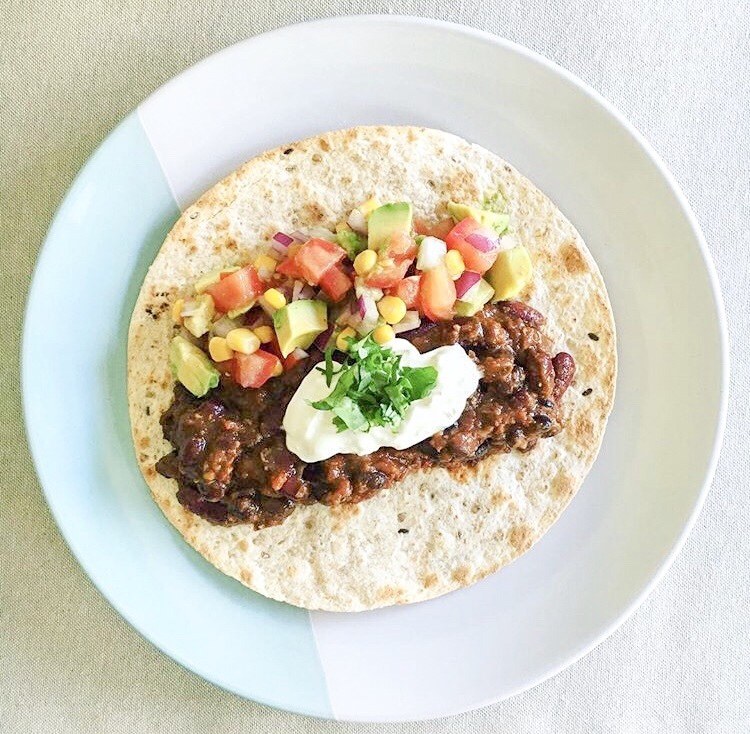 These soft tacos may be vegetarian but even the toughest meat eater will be converted. This recipe makes huge serves and the leftovers freeze really well for quick dinners served on baked potatoes. Check out the recipe here. 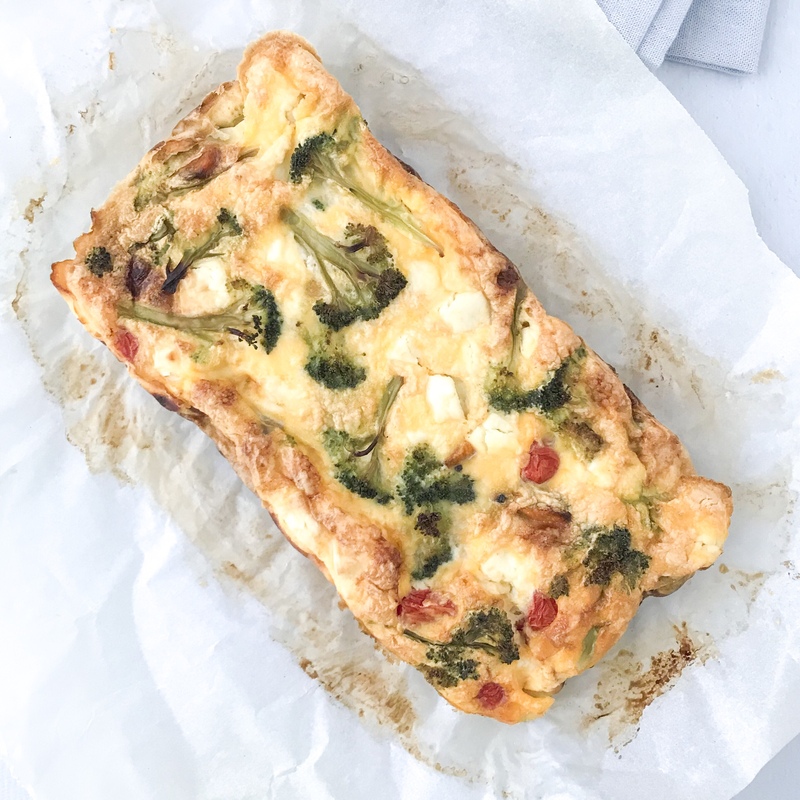 Dinner in 15 minutes can be done with this quick and easy frittata. Easily swap the ingredients for whatever you need to use up in the fridge. Serve with some crusty bread a simple salad and you have your food groups ticked without much fuss or washing up! Check out the recipe here. 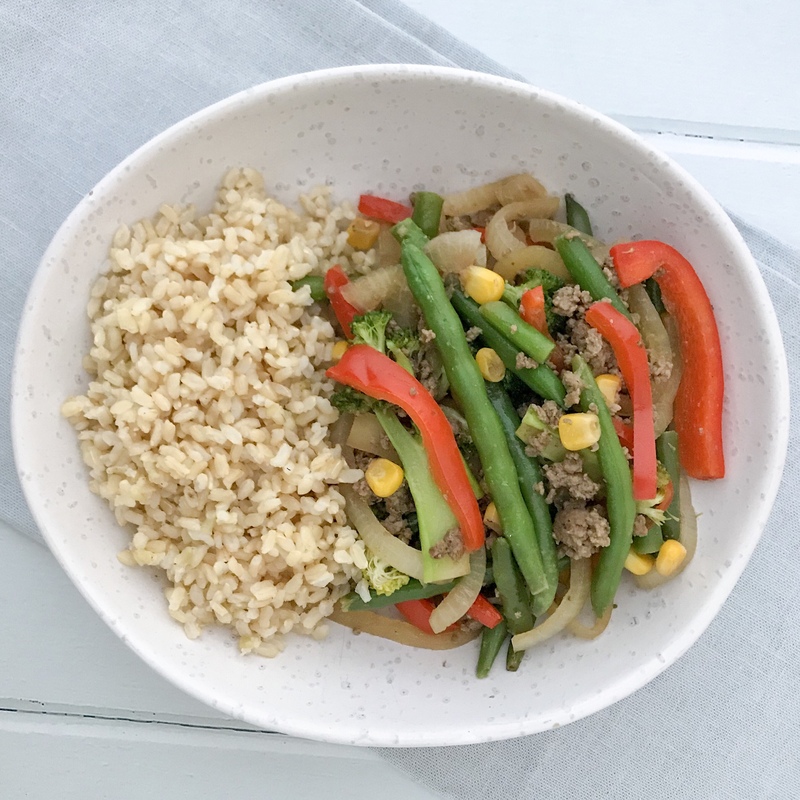 Mince is a tasty and inexpensive protein for stir fries. Plus, you’ll be surprised at how little you need to make a huge recipe to feed a hungry family. Check out the recipe here. The trusty family meal you know the kids will eat has had a makeover. This one is loaded with vegetables and some sneaky lentils too! Check out the recipe here. 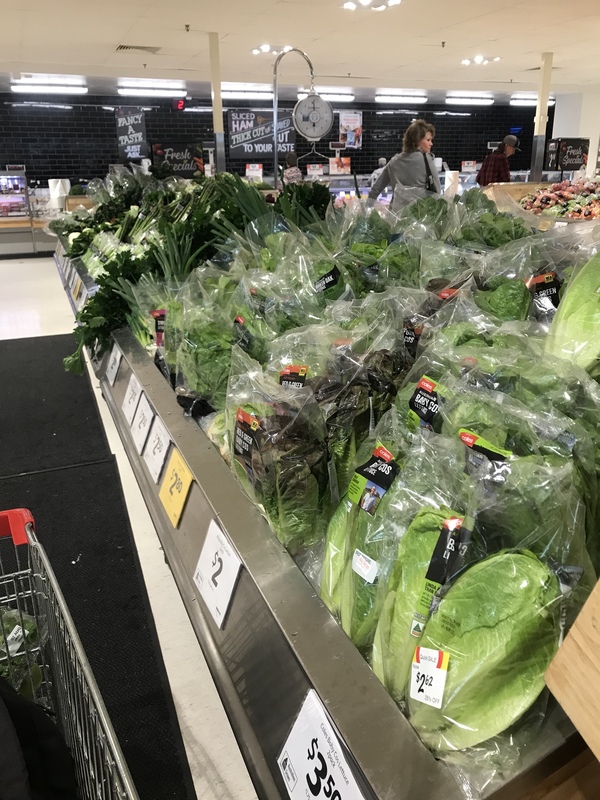 All recipes were costed using Coles online prices for Perth metro and were correct as of August 2018. You may be able to reduce the costs even further by sourcing your produce at local green grocers or markets, and finding reduced to clear meat. Don’t be a brand snob, give home brands a go! Home brands really have come a long way in recent years. For most simple, single ingredient foods (like oats, flour and sugar) they are exactly the same product. For other products, check the ingredients list to tell if there really is a difference, there often isn’t. If there is a brand name food that your family can’t compromise on, keep an eye on the prices and when they’re on special, stock up. Aldi is also very competitive and it’s well worth a visit to stock up on basics. So many of us are filling our trollies with processed snacks and it’s sending our grocery bills soaring. Look at your shopping list and decide if you really do need pouch yoghurts, muesli bars, nut bars and single serve chips and dried fruit. Ditch these high sugar, high salt options and you’ll have more to spend on fruit, vegetables and wholegrains. You’d be surprised how much more food you get! Most aussies eat too much meat. 100g per person raw meat per person is plenty. 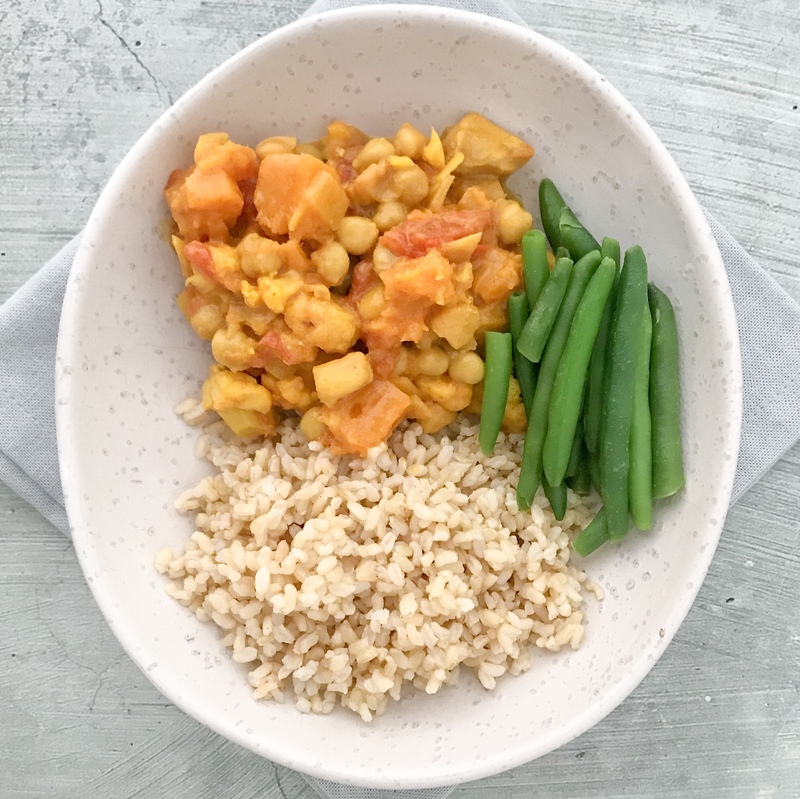 Save the extra bit in wrapped in the freezer, soon you’ll have enough for a meal – or keep them as single portions for quick single serve meals. Schedule one night a week to have leftovers, toasted sandwiches or eggs and baked beans on toast. These are still nutritious and filling options, and will leave you with some extra dollars to add variety to other meals. Check the price per kilo as you shop. As you choose fruit, vegetables meat and seafood, it pays to double check (each time) if loose produce or deli meat and seafood is cheaper than the packaged/prepared options. You can save as much as $5 a kilo by choosing loose produce (like mushrooms you put in a bag yourself) compared to ones that are packaged. Sometimes the supermarkets have a deal on where the opposite is true – so it pays to check each time. Reduce waste by using all of the vegetables. – Use the cauliflower leaves in soups. – They seem like small pieces, but you’ve paid for them and they’re nutritious! Meal bases, flavour packets and sauces are high in sugar, salt and additives. Replace them with pantry staples like canned tomatoes, passata, herbs, spices and salt-reduced soy sauce. Not only are they cheaper (look at the unit pricing/price per 100g) but they are more versatile, so your dollars are better spent. Frozen vegetables are just as nutritious has fresh – so it’s worth keeping a stash in the freezer to keep your meals healthy or to stretch them further. Regularly check the prices though as sometimes fresh are cheaper when they’re in season and in good supply. This is especially true for carrots, cauliflower and broccoli. Frozen peas, corn, green beans and spinach are always a good deal. It’s really easy to waste oil, cheese and sauces by adding them freehand. Use a measure instead – you’ll be surprised how much longer your staples will last. Stretch meals before you double it. When you have more than 4 mouths to feed (or you’re feeding constantly hungry teenagers) don’t be tempted to just double recipes. Add an extra cup of vegetables and half a serve of grains to a meal to stretch for a full serve. You could also try serving the main meal with one or two vegetable or grain side dish to stretch the meal. 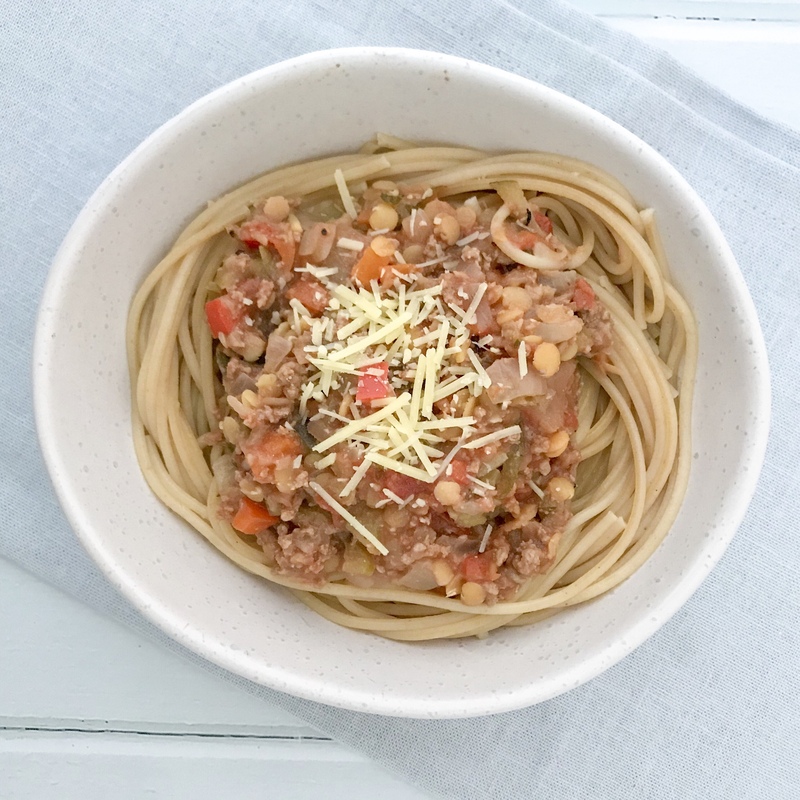 If you’re making spaghetti bolognaise that’s loaded with veggies, you could serve it with a side salad and homemade garlic bread. Offer a simple dessert of fruit, yoghurt and muesli to anyone who still needs filling up after dinner. If you’re new to shopping at Aldi, check out my blogs; 10 tips for shopping at Aldi, Can you save money on healthy food at Aldi? and Are Aldi brands unhealthy? Still need help with saving money on healthy food or planning healthy family meals that everyone will eat? Then check out my services and let me help. Did you know I can create personalised meal plans, just for your family? It takes the stress out of deciding what’s for dinner and trying to accommodate everyone’s nutritional needs. Plus, I include tips for shopping, reading food labels and catering for fussy eaters (young and grown).